One of our personal care assistants can help your loved ones with their hygiene and grooming needs. Living with conditions such as arthritis or limited mobility can make it difficult for your loved ones to take care of basic human needs such as taking a shower and using the toilet. 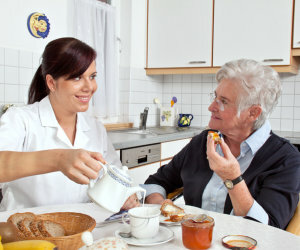 AT-HOME CARE SERVICES’ care providers give direct assistance to those who are living with a stable, chronic condition (as determined by a physician). With our staff members’ help, your loved ones can face less challenges to their overall health and well-being. For further information on our Personal Care Assistants, please call 860-232-6126 or send us a message online.